Exposures and filters: 80 min of luminance (10 min subs) and 30 minutes each of RGB (5 minute subs) for a total of 230 minutes. 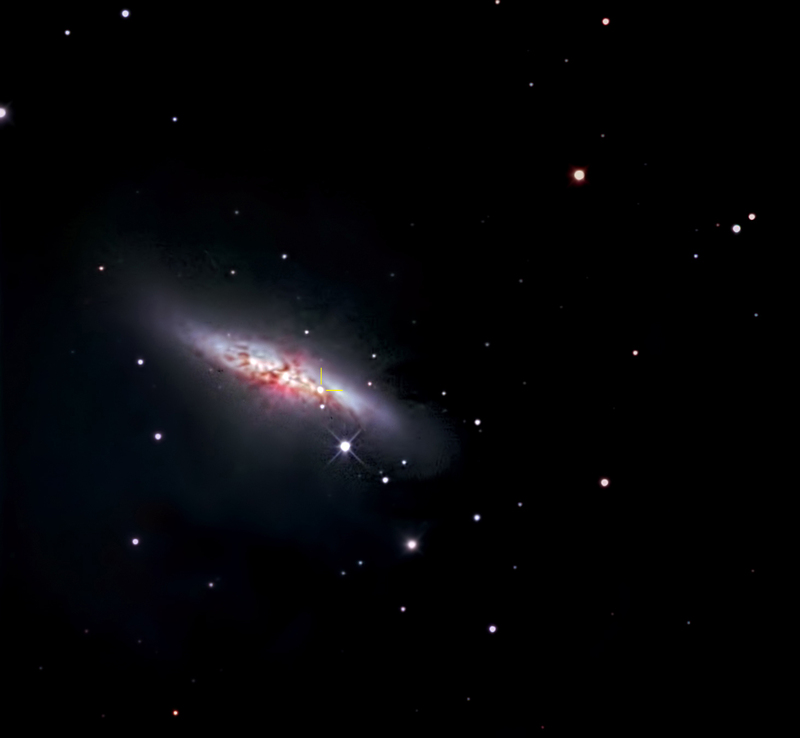 M82 was previously believed to be an irregular galaxy; however In 2005, two symmetric spiral arms were discovered from near-infrared images of M82. Also in 2005, the Hubble telescope detected nearly 200 young massive clusters in the starburst core. This image shows a newly discovered supernova (yellow lines), referred to as SN 2014J a Type Ia supernova observed in the galaxy on 21 January 2014. This was the closest Type 1a supernova observed within the past 42 years. Type Ia supernova are devoid of hydrogen, contain mostly silicon, and emerge from thermonuclear reactions, rather than core collapse. Type 1a Supernova reach their peak brightness quickly then slowly fade. Astronomers believe SN 2014J reached its peak brightness on 31 January. The projenitor star is likely to be a white dwarf star within a binary system. 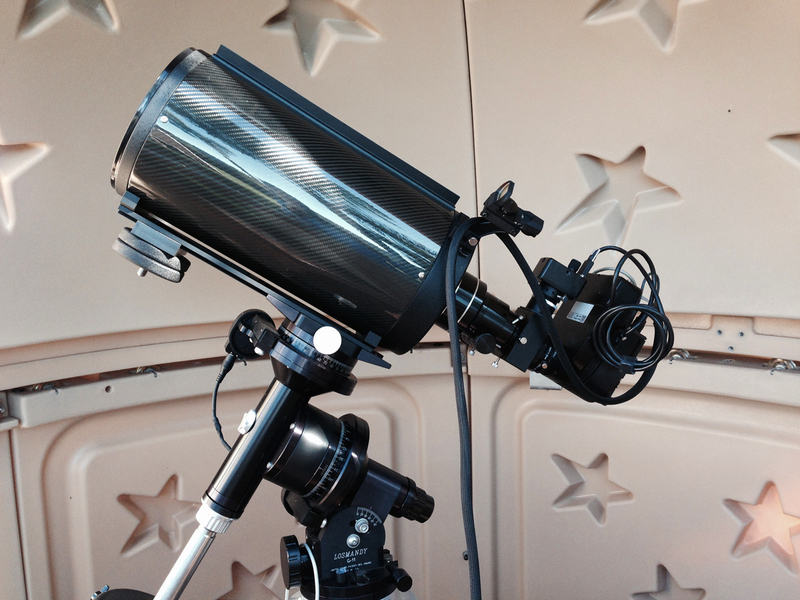 This image was obtained about 9 weeks after estimated peak brightness.